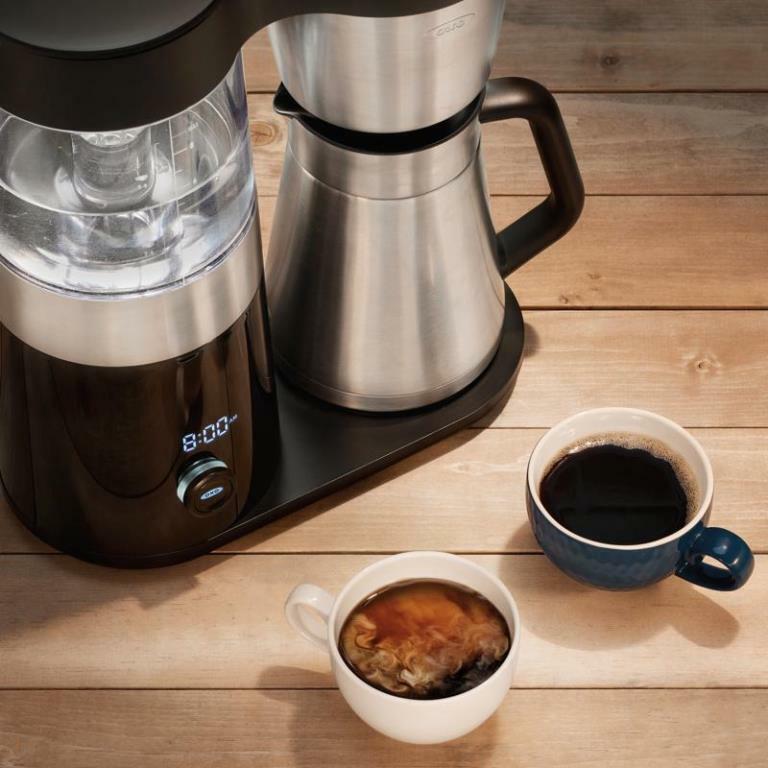 With a brain of its own, and an ear tuned to your preferences, Oxo's On Barista Brain, 9 cup coffee maker brews Gold Standard coffee right in your own home. 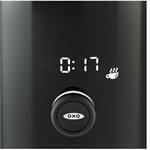 The simple, one dial control allows you to set the time, the auto-brew timer and to choose how many cups to make. The coffee maker handles the rest. With water heated to the perfect temperature and pumped through the grounds in perfectly timed cycles, what you get is a rich, smooth cup of coffee because it has been allowed to 'bloom' and reach its full flavour potential. 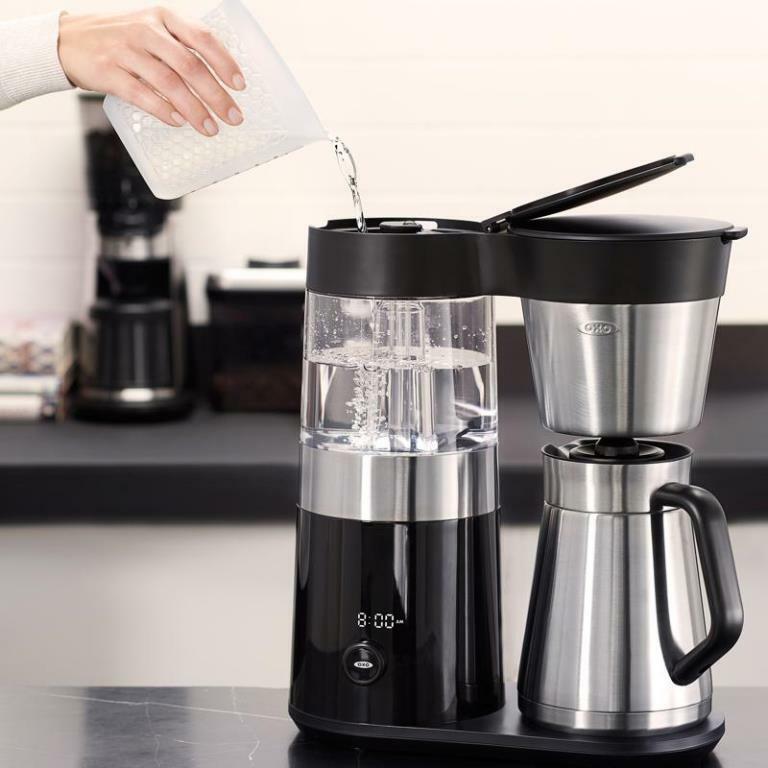 If you can't wait to enjoy that first cup, the pause and pour feature lets you remove the carafe, fill your cup and replace the carafe to finish brewing. 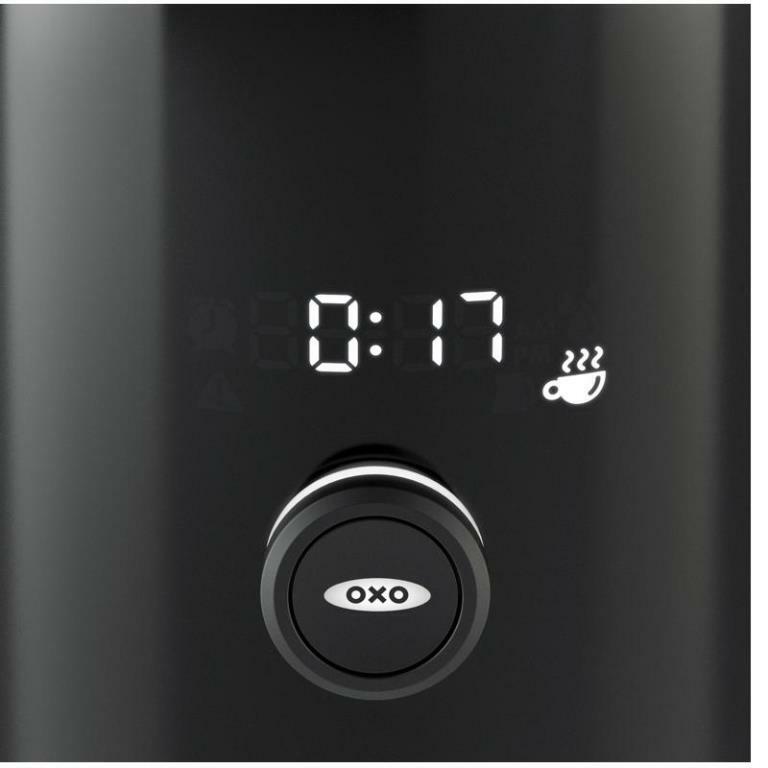 Once the brew cycle has completed a 'freshness' timer starts counting up as coffee is best if enjoyed within an hour of brewing. The double walled, stainless steel carafe is designed to not only keep your coffee hot, but will also give you coffee that is consistently good from the first cup to the last drop. How? 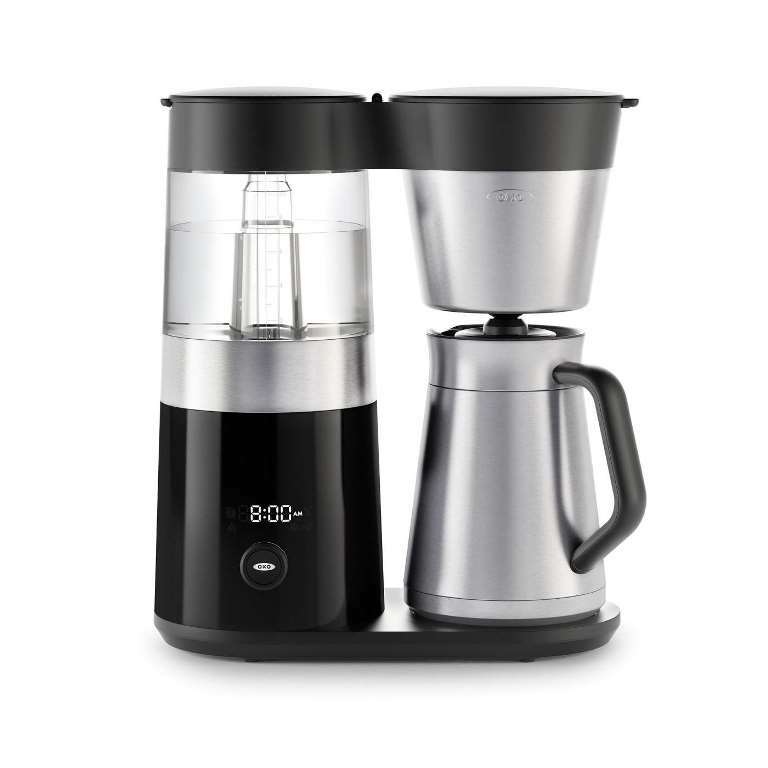 The carafe comes with a mixing tube that incorporates the coffee evenly in the carafe, preventing strong coffee on the bottom, weak on top. Our quest for the best also includes customer feedback - after all, you are the judge. we have had repeated rave reviews on this coffee maker. Life is too short for poor quality coffee. 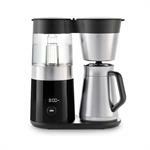 Simple and compact, enjoy a perfect brewed cup either at home, work, camping or travelling. 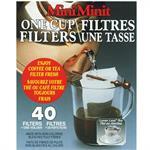 Add coffee grounds or loose tea leaves to the filter and Using the filter holder place it on the rim of your cup, add your hot water & discard the used filter. 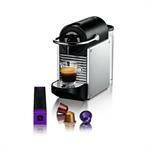 The Nespresso® Pixie is a compact combination of innovation and personality. At 4.3” wide, the Pixie can fit anywhere in the kitchen or you can take it with you to the cabin. 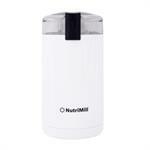 Can be used not only for coffee but for all your oily seeds, grains, and beans that you cannot do in the NutriMill Grain Mills. Quick, convenient, and easy to use with the clear cover and pulse button, you can always get the exact grind you are wanting.